Is your sign looking a little tired? Let us freshen it up with new paint, letters, or a new logo. Sign refurbishing does not require city permits, unless you are changing the basics of the sign. 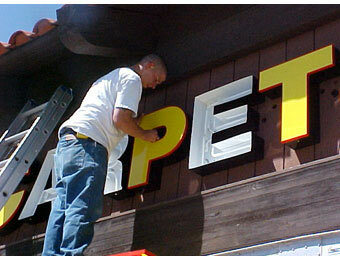 Take advantage of your grandfathered sign, and simply refurbish instead of starting over. A refurbished sign can often cost thousands of dollars less than a new one, helps you avoid the potential hassles of permitting, and can be often accomplished on a shorter timeline. Let us show you how!